Kiwanis volunteers working at Saturday's morning Kiwanis Market. The market is the largest source of income for the club, meaning more donations to the community. 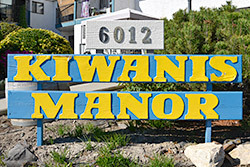 Oliver Kiwanis is proud to manage four different housing complexes in Oliver. These complexes include the Kiwanis Manor, Storey Wilson Building, the Legion Building, and Kiwanis Place. Each of the complexes offers low income housing opportunities. 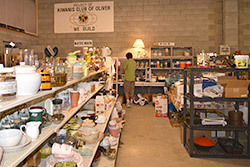 Our market, commonly known as the "Oliver Walmart" takes place each Saturday on Sawmill Road. But there is a lot more activity going on behind the scenes! 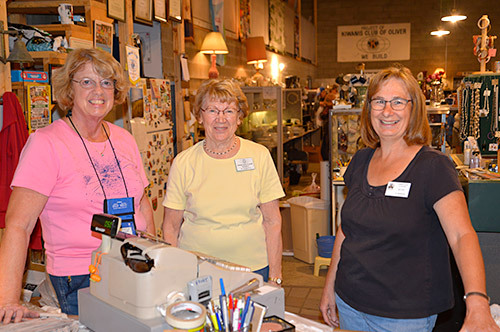 During the week volunteers are busy getting the sale items ready! The market is our biggest fundraiser. Aktion Club is the only service club for adults with disabilities, with more than 12,000 members worldwide. Aktion Club is supported at the district level and by the Kiwanis International Office which provides programs, literature and opportunities.